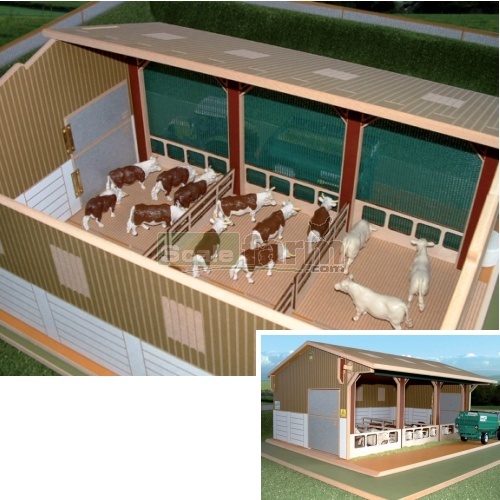 Brushwood Wooden Toys Beef Unit - it's called a beef unit but you could use this shed for anything you like, it has 3 removeable feed barriers and 4 gates which can be rearranged to form several internal layouts. The retractable storm-stopper really finishes it off making it look just like the real thing. It includes 1 small bag of dung and 1 small bag of silage (coloured sawdust). Animals and vehicles not included.